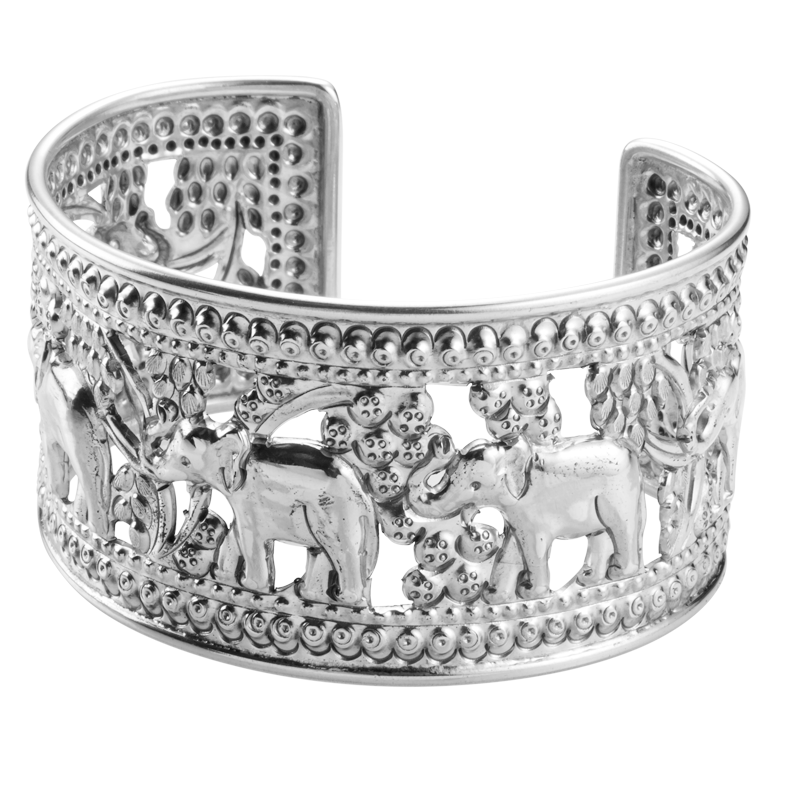 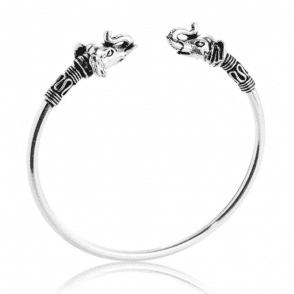 The totem that is symbolic of luck and love, our elephant family is entirely hand crafted in finest sterling silver cutwork. 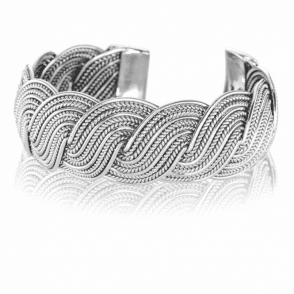 Light and easy to wear, the spectacular sculptural artistry creates a softly yielding bangle that moulds with time uniquely to your wrist for a perfect fit and the feeling of preciousness that is yours personally. 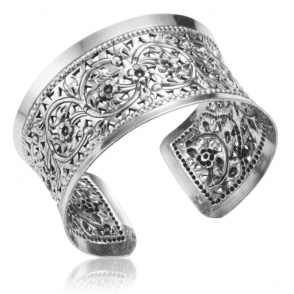 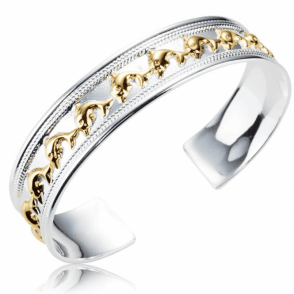 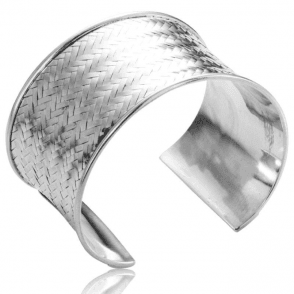 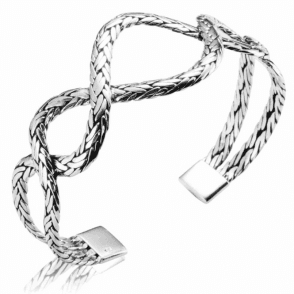 Bangle width 1½".